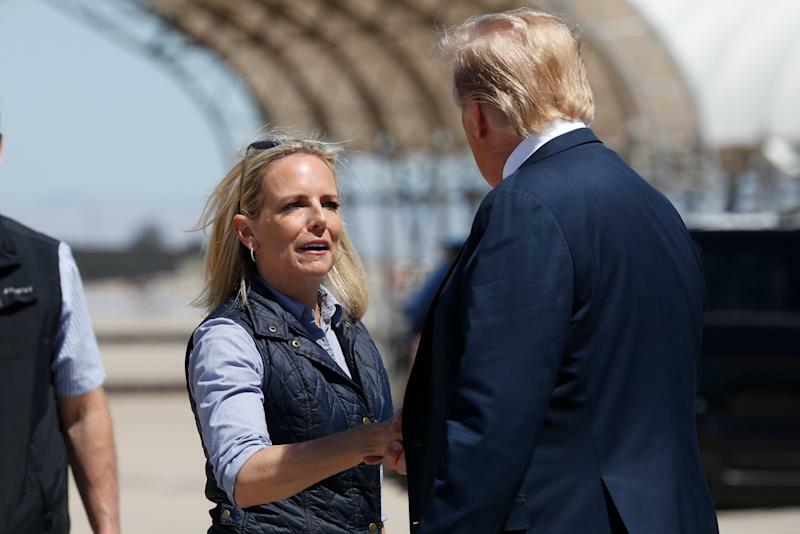 VietPress USA (April 7, 2019): Today on Sunday, April 7th, 2019, Kirstjen Nielsen announces that she is leaving her position as Homeland Security secretary as President Donald Trump intensifies his focus on the nation’s border with Mexico. As the Trump administration wrestles with what it calls a “crisis” of immigration from Central America, Kirstjen Nielsen resigned Sunday as head of the Department of Homeland Security, which includes the agencies charged with enforcing the nation’s border and immigration laws. President Trump announced the move on Twitter. “I would like to thank her for her service,” Trump tweeted, adding that current Customs and Border Protection Commissioner, Kevin McAleenan, would step in as acting DHS Secretary. Nielsen later posted a copy of her resignation to Twitter. 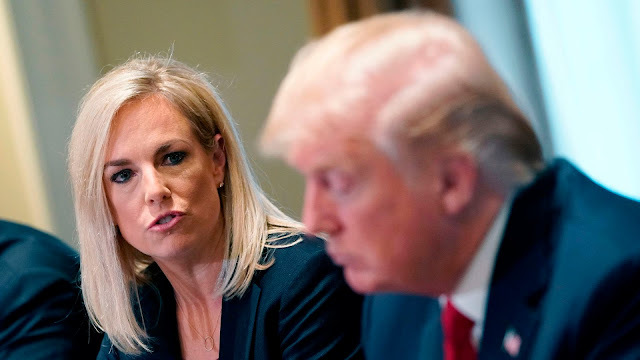 During her tumultuous tenure with the Trump Administration, Nielsen, who previously served as chief of staff to former DHS Secretary John Kelly, faced criticism from both current and former DHS officials as well as White House aides and, ultimately, the President. Nielsen initially followed Kelly to the White House when he took over as chief of staff in September of 2017, but she reportedly clashed with West Wing aides. Despite concerns over her lack of experience, Trump nominated Nielsen in October 2017 to replace Kelly in the cabinet and she was easily confirmed in December. She is the sixth head of Homeland Security since it was established in 2002. “In a normal administration, there isn’t a chance in hell she would get nominated for anything above an undersecretary job,” one former national security official who, like Nielsen, served under President George W. Bush, told The New Yorker in March. In her five years with the Bush administration, Nielsen primarily oversaw the White House’s domestic disaster relief and prevention policy. She was named in two Congressional reports as one of the officials who failed to inform the White House of the severity of the situation in New Orleans following Hurricane Katrina. After the fallout from Katrina in 2008, Nielsen left for the private sector, where she re-branded herself as a cybersecurity expert. Trump has reportedly been frustrated for months by Nielsen’s performance. 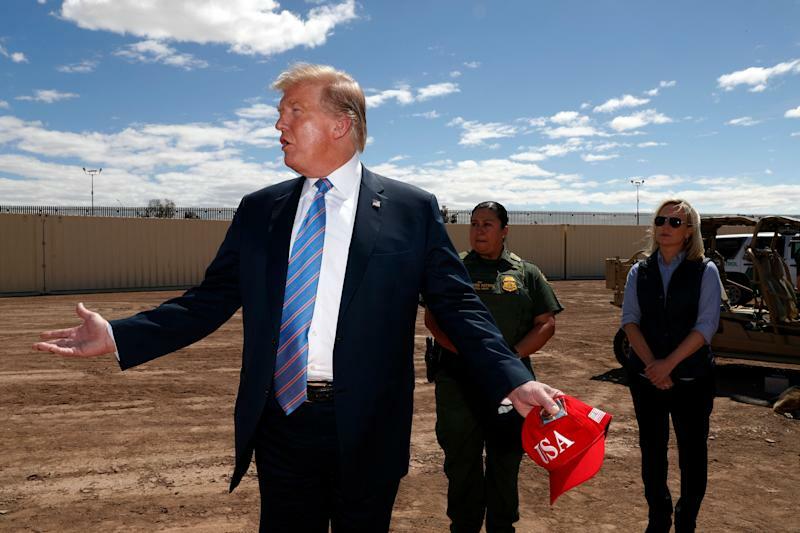 In one particularly heated exchange at the White House this past May, the New York Times reported that Trump berated her over what he viewed as a lack of progress toward carrying out his pledge to completely close U.S. borders to illegal immigrants. 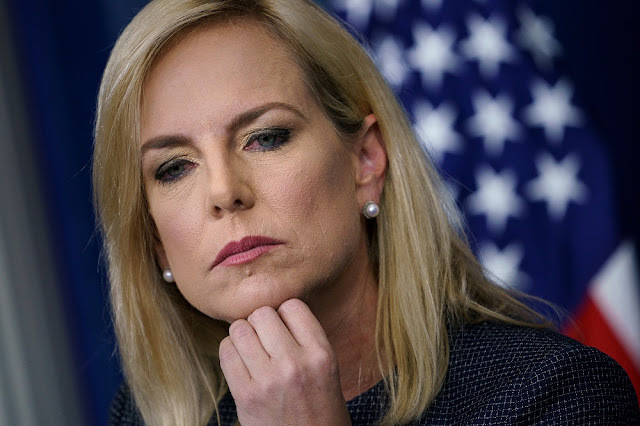 The Times reported that this humiliation had prompted Nielsen to draft a resignation letter, which a DHS spokesperson denied. Nielsen did not step down, and becamethe public face of the Trump administration’s most controversial policy yet: forcibly separating immigrant parents and children who attempted to enter the U.S. together along the southwest border. Nielsen defended the administration’s actions in the face of widespread outrage, insisting at a White House press briefing that there was actually no such family separation policy — just days before Trump signed an Executive Order abolishing it.